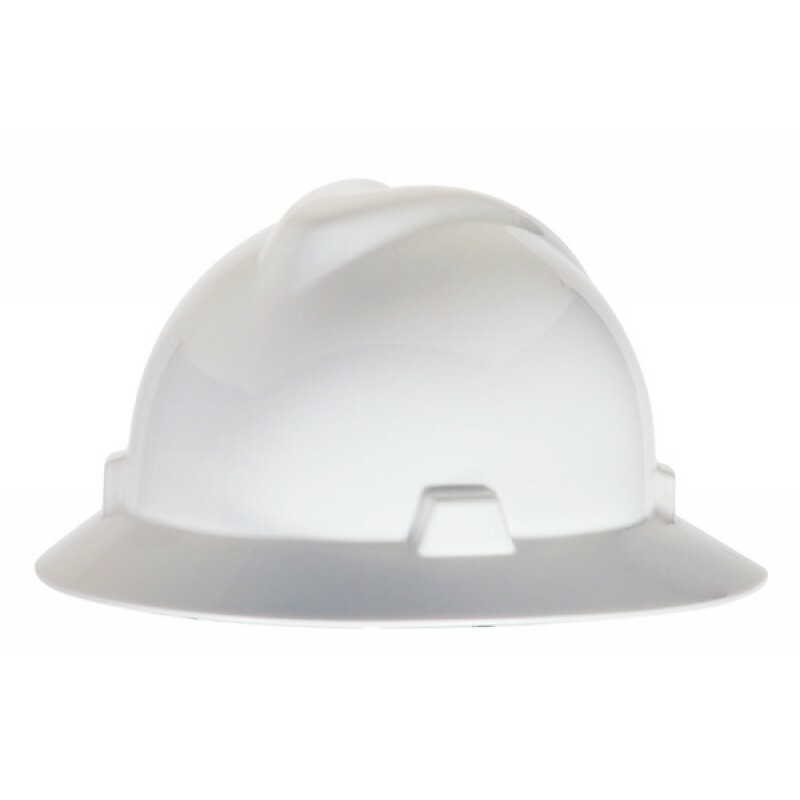 MSA V-Gard® White Class E Polyethylene Hard Hat With Full Brim And Fas-Trac® Suspension has self-adjusting crown straps which offers comfortable protection. Non-slotted hat is light in weight and polyethylene shell provides tremendous impact protection. This ANSI type I cap meets ANSI/ISEA Z89.1-2009 and CSA Z94.1-2005 standards.